Today, I Will Not Be Salty. Today, I Will Leave That To My Pie. It got wayyyyy darker than that. So yeah… scrapped. Let’s talk happy stuff? BUT I DON’T WANT TO TALK ABOUT HAPPY SH…. see? Even I can’t stop me. Whew. Ok. Let’s start over. Hey! Let’s make a list! 1. The holidays are approaching. For me, this used to mean grumbling about the lines at Macy’s and over-salting eggnog with my bulbous, lonely tears. Now, it means shopping online and not salting my eggnog at all, because I finally realized I hate eggnog! Also, I like people again. 2. To repeat, the holidays are approaching. I have amassed a booklet of recipes to try– cookies, brownies, eclairs (! 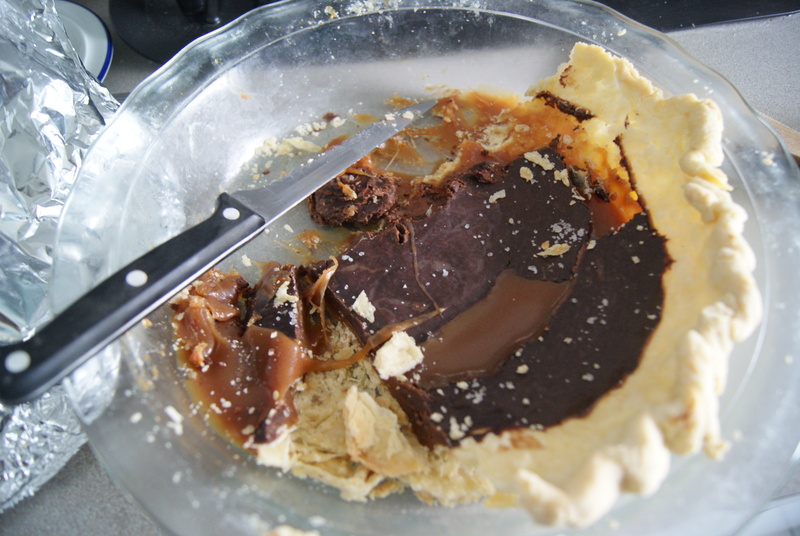 ), something involving turning things that shouldn’t be fudge into fudge, and on and on. Who knows how many of these I will actually complete, but damnit, I am determined. F*&$%ing positivity, guys!!! 3. 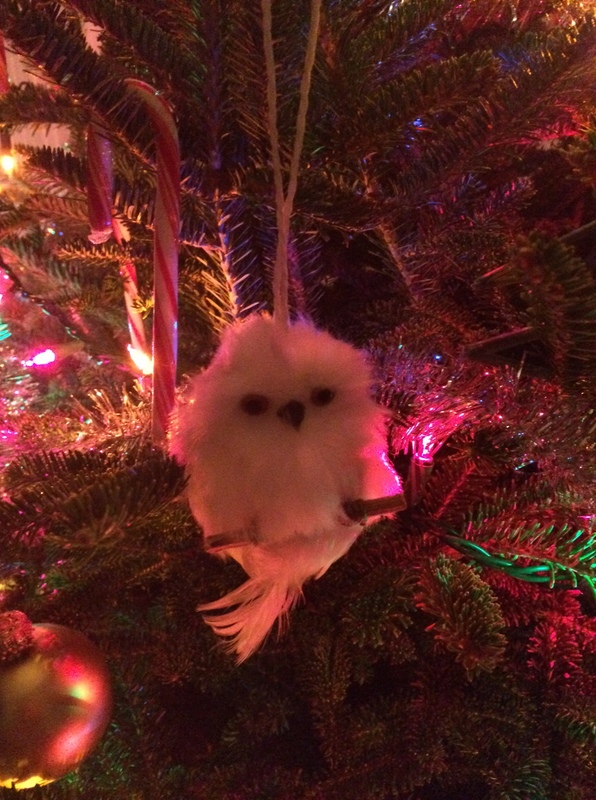 The holidays…they are upon us. This means Sylvapotamus and I are doing our damndest to get ourselves invited to the fanciest winter soiree this side of De Stuteville Drive (I Googled “fancy place names” and that popped up). This adventure is proving, so far, to be an utter failure…. but IT’S SO MUCH FUN. 4. 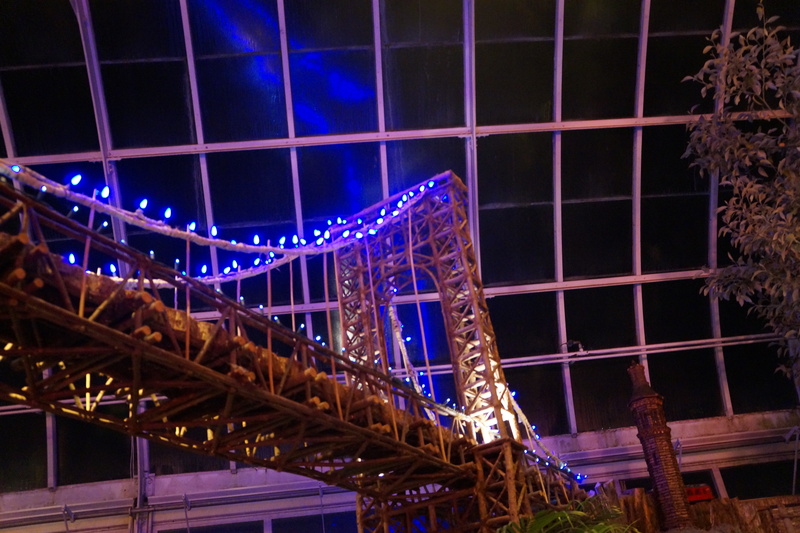 Oh, and since you casually mentioned the holidays– that was you, right?– I went to the Holiday Train Show this weekend at the Botanical Garden. It was super overpriced and the ticket takers are monsters gorgeous. Really, really breathtaking, and despite some early hiccups (see: crossed out part of the previous sentence), we all had a lovely time. Even my dad had a ton of fun, and he’s just as surly as I am! 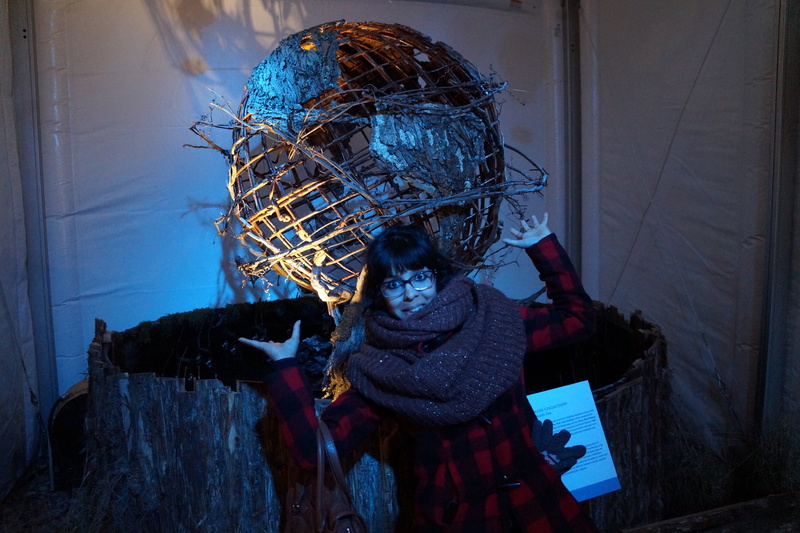 Photo credit: Sylvapotamus, The Wonderful. Those all sound pretty great, right? Writing that out is certainly giving me perspective on what truly matters: sugar. Wait… sugar AND loved ones. In no particular order. Actually, no, those two things are in the right order. Sugar rules all. Speaking of sugar, let’s talk pie. Speaking of pie, let’s talk chocolate pie. Speaking… ok. We’ll just get to it then. Ok, before we start, I kind of think I’ve finally found a pie crust recipe that doesn’t make me want to throw in the tea towel in defeat. I found it very easy to work with, which I’ve never, ever been able to say. I’d love to hear what others think of it. Butter and lightly flour a 9-inch pie tin; set aside. In a large mixing bowl, whisk together flour, sugar and salt. Add in the butter, then blend in using either a pastry blender or a fork. Using your fingers, rub the mixture together just until it feels like wet sand. Stir in the egg mixture with a fork until it begins to come together into a dough. Turn dough out onto a floured surface, kneading just until it holds together. Divide the dough in half, shape each half into flat discs, then cover in plastic wrap. Refrigerate for at least an hour or up to three days (you can freeze it for up to three months). When ready to use, remove dough from fridge and let it come to room temperature. On a large, floured flat surface, roll dough out to 14-inch round (and if yours actually stays round, I envy you, magic baker). 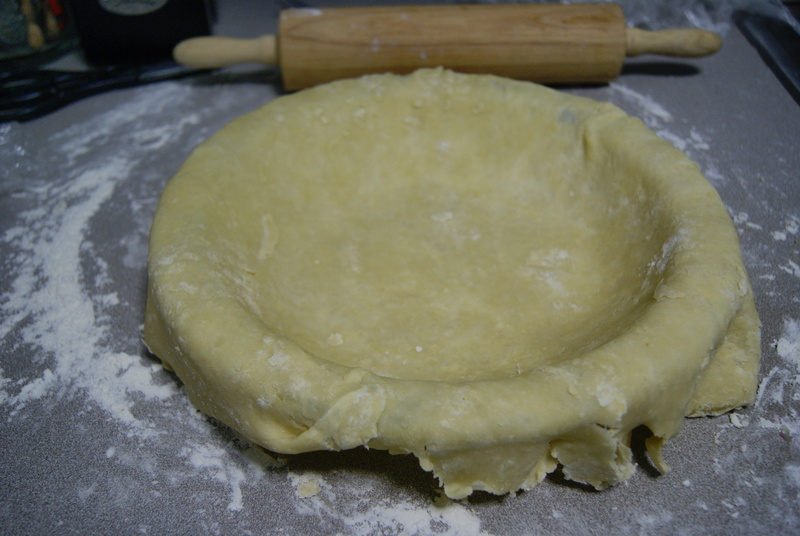 Gently roll the dough onto a rolling pin, then lay into pie plate. Trim off any excess, leaving 1/2 inch or so of overhang, then curl overhang under lid and crimp decoratively if you have the skills for this. Alas, I do not. Prick the dough all over with a fork, then refrigerate for at least 30 minutes. It’s a pie crust that LOOKS LIKE A PIE CRUST! To blind bake the shell, preheat your oven to 400ºF. Line shell with parchment paper or foil, then place weights evenly along the bottom of the shell. Bake for about ten minutes, then remove weights and parchment/foil. At this point, I like to cover the edges of the pie with a ring of foil to prevent them from burning. Send back into the oven for 5 to 8 minutes, until the shell is golden brown. Let cool before filling. Now let’s work on the most amazing caramel. In a medium-sized saucepan, stir together sugar, corn syrup, salt and 6 tablespoons of water. Bring the mixture to a boil. Continue to cook, without stirring, until a candy thermometer inserted into the pan reads 340ºF. Ok, full disclosure: I kind of let this go to 350ºF because I was curious as to what would happen/not paying attention, and I actually really liked the nutty, deep taste the extra time gave the caramel. Remove the pan from heat, then whisk in butter and cream (the mixture will bubble up considerably). Whisk until smooth, then pour evenly into pie shell. 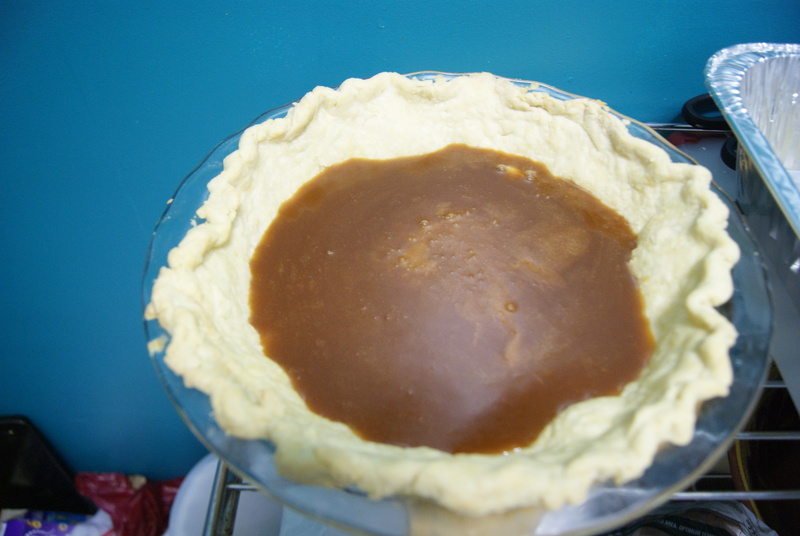 Refrigerate for 4 to 5 hours, until caramel is firm. I know, I know this is like a days-long pie recipe, but you will thank me dude. We’re on the last step, the ganache. In a medium-sized saucepan, bring cream to a boil. Place chocolate in a medium-sized heatproof bowl, then pour in the boiled cream. Let the mixture sit for one minute, then gently stir together with a rubber spatula until smooth. 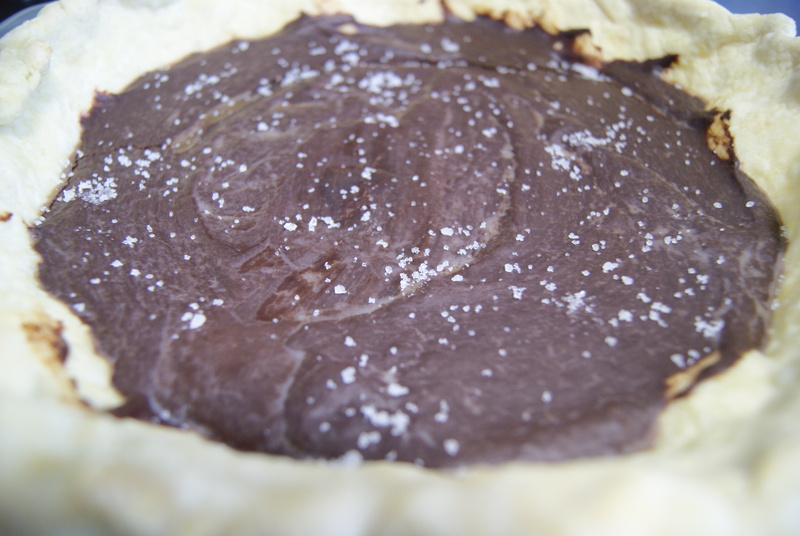 Pour ganache evenly over the tart and chill in refrigerator for at least 5 hours. Sprinkle sea salt evenly over the top before serving. Heaven’s surface is sea salty and chocolatey. So? So. No– no it’s not so-so. It’s anything BUT so-so. It’s like the fanciest, most wonderful candy bar your mouth has ever had the pleasure of receiving. I know there’s been a bit of a backlash against salty desserts, but my brain does not have time to comprehend this. If you have the time– and, truth be told, from start to finish, it’s entirely possible this pie will take days of prep work– please, please make this for yourself and the people closest to you. *Definitely* make sure this pie is chilled before you slice it if you’re looking to photograph it. I simply could not wait any longer. How it looked after a couple of days. 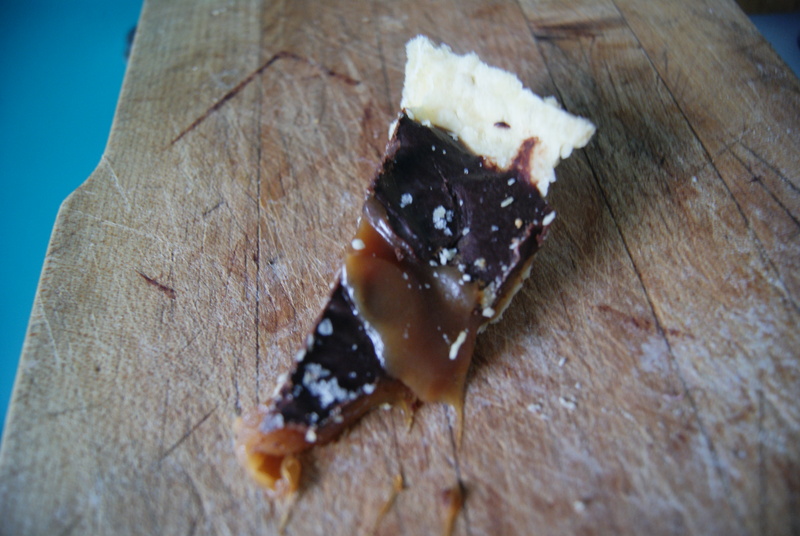 Am I a bad blogger because I did this to this tart, or a good blogger for being honest with you?